During many receptions, he used to serve his guests small pâtés stuffed with a tasty mix of sweet and savoury lamb meat, light brown sugar and lemon. This recipe was exclusively known by his Indian private cook. These small roll-shaped pâtés were directly inspired by the British minced pies (traditional pies stuffed with meat, fruits and spices). When he left, Lord Clive, enchanted by the town and its inhabitants, offered some local confectioners the recipe by way of thanking. The famous “Petit Pâté de Pézenas” was born. 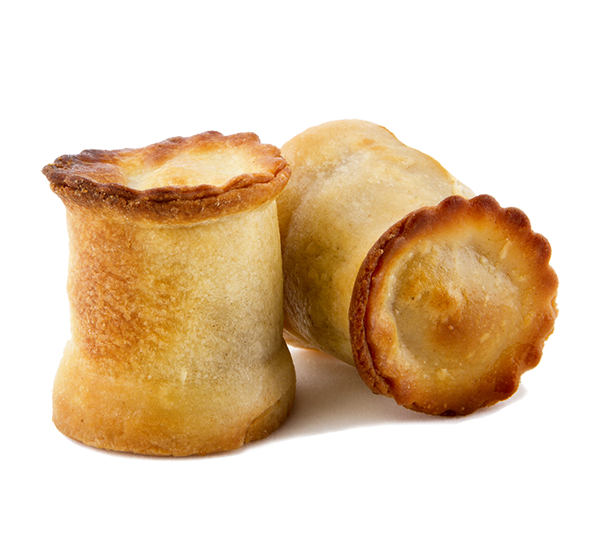 Roll-shaped pastry shell filled with sweet and savoury stuffing with a light lemon taste. Hot or warm with a salad or simply for an aperitive. Lamb, sugar, light brown sugar, natural lemon flavor, salt, pepper, flour, margarine and water. Traditional oven for 3 to 5 minutes (180°) or 6 to 7 seconds in the microwave.